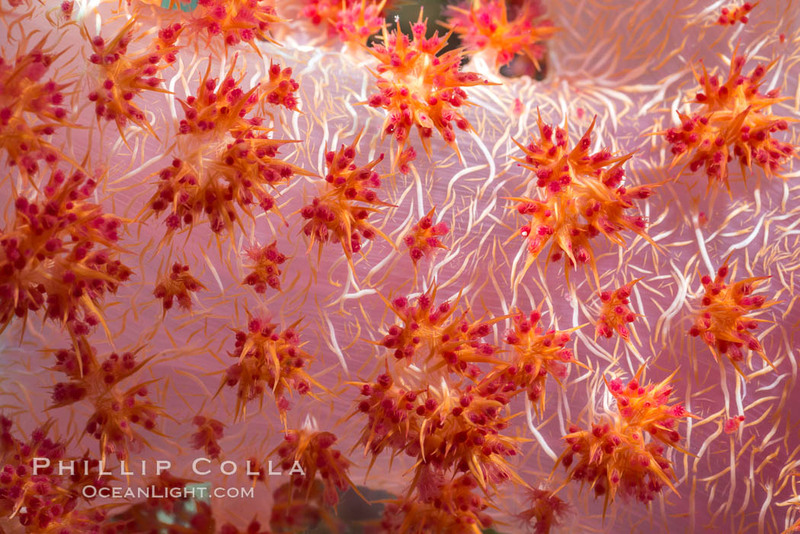 In my experience Dendronephthya soft corals are the most spectacular and photogenic of the myriad invertebrate denizens of tropical coral reefs. 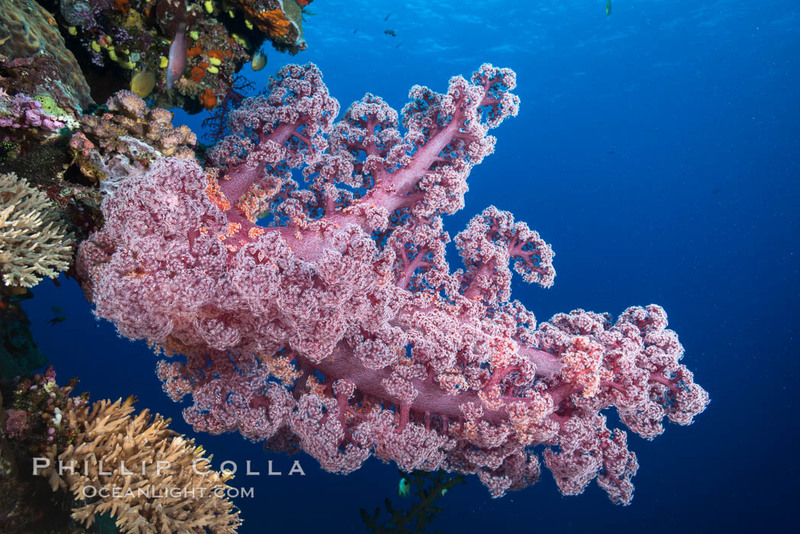 “Soft coral” is a broad term, often used to describe gorgonians, leather corals, cup corals, sea whips, octocorals, etc etc that are found in all oceans of the world. The genus Dendronephthya sp., including about 250 species, is the one I want to highlight here. 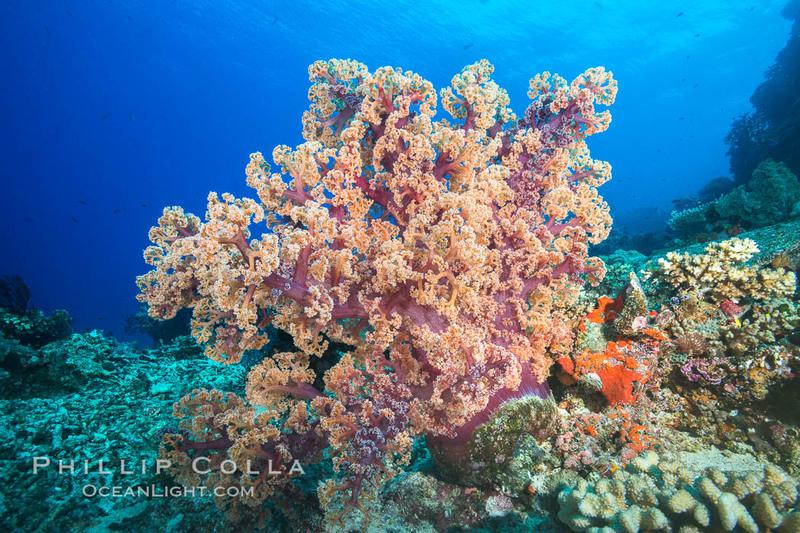 I was recently diving and photographing in Fiji for a few weeks and focused my efforts on its colorful reefscapes, in which Dendronephthya plays a starring role. 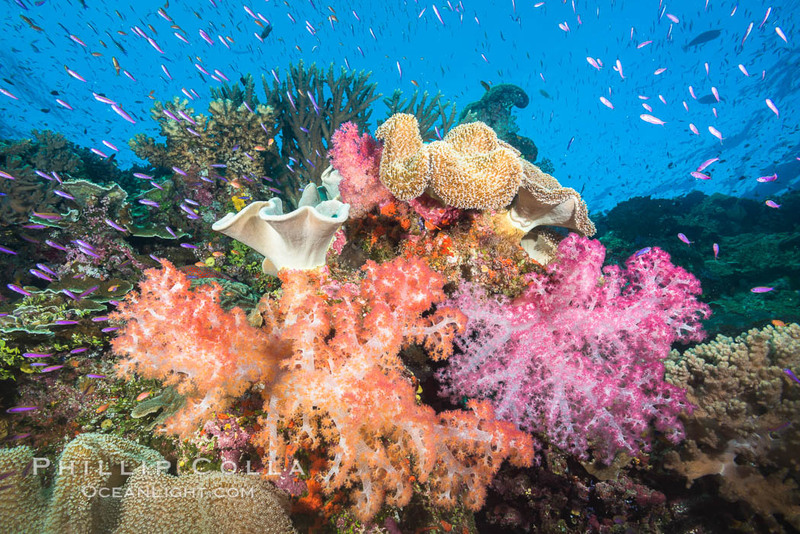 Dendronephthya is found on Indo-Pacific tropical reefs, often carpeting coral reefs with amazing color: red, orange, yellow, pink and white are typical. 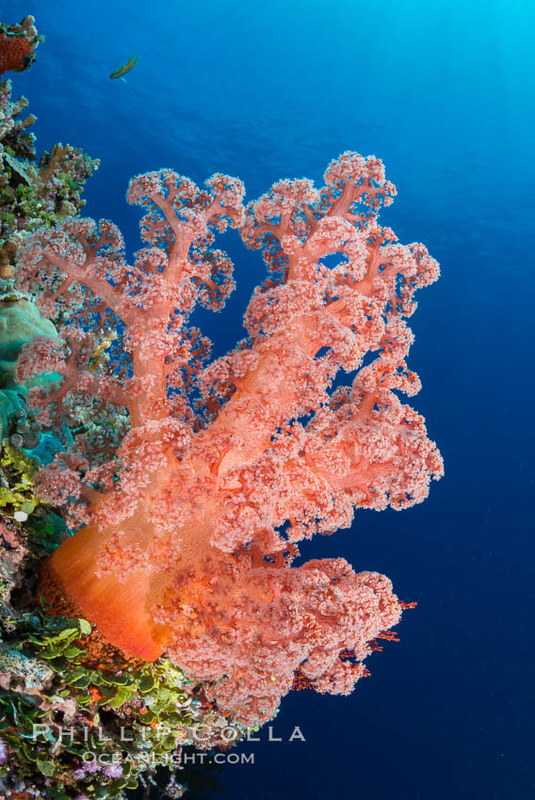 Dendronephthya soft corals do not contain zooxanthellae (unicellular symbiotic algae found in many coral species) and so must capture and consume copious amounts of plankton passing by in order to survive. 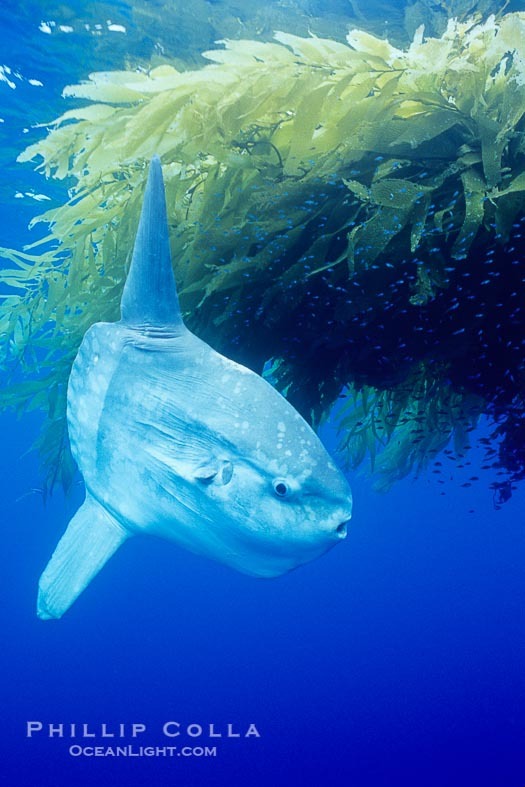 Since planktons are delivered by ocean currents, Dendronephthya and other soft corals are often found in profusion in areas where ocean currents are strong. 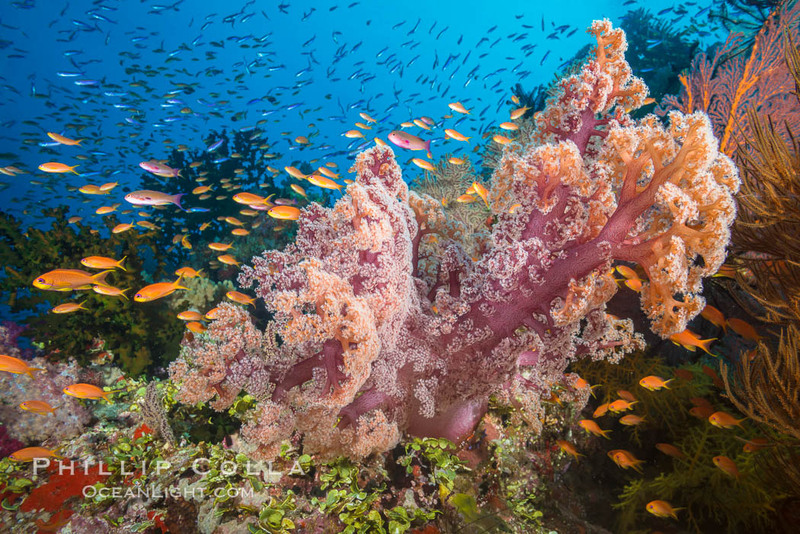 Dendronephthya soft corals have a thick main stalk with bushy groups of polyps at the end of branches. 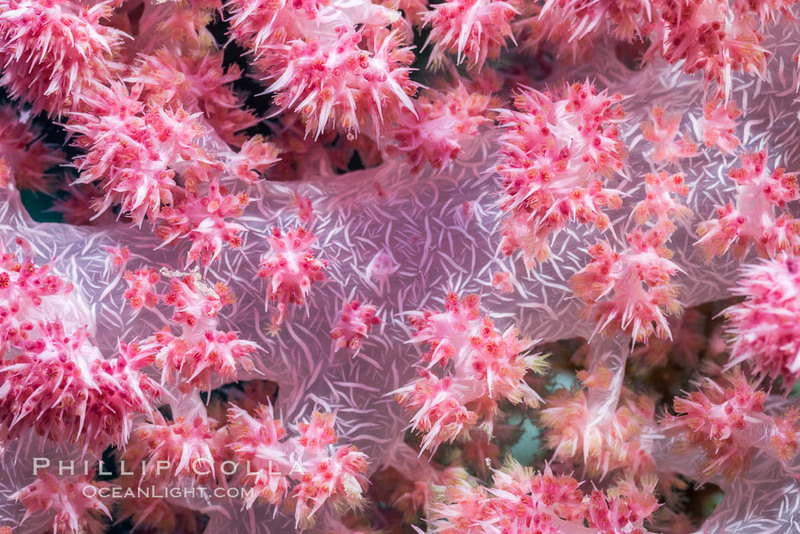 Supporting the polyps are a network of sclerite spicules which give some rigidity to the stalk and branches. 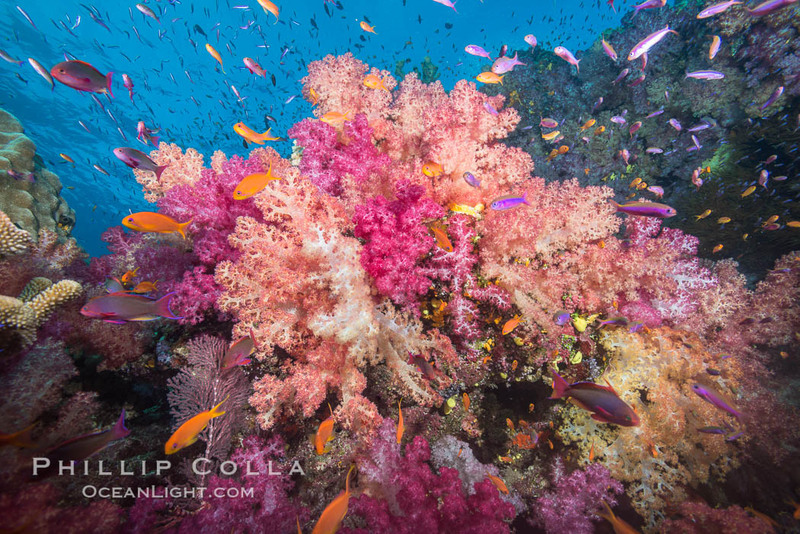 Below are a few images illustrating what I love about Dendronephthya soft corals: their fantastic colors, their capacity to attract large schools of reef fish, and the endless variety of shapes and details with which they are found. Cheers, and thanks for looking!